Cathryn Essinger’s first book, A Desk In The Elephant House, won the Walt McDonald First Book Award, from Texas Tech University Press. Her poems have been anthologized in The Poetry Anthology, 1912-2002, Poetry Daily: 366 poems, O Taste and See: Food Poems, and in Grrrrr: A Collection of Poems About Bears. 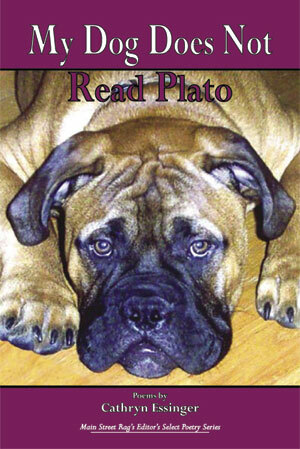 She teaches writing classes at Edison Community College in Piqua, Ohio, and her dog does not read Plato. 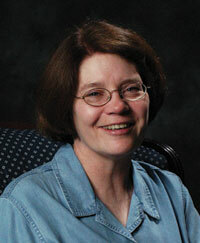 Cathryn Essinger has written a book of shapely, good-natured poems, whether that nature is on the loose or domesticated. Though the title My Dog Does Not Read Plato may suggest that whimsy runs free here, Essinger keeps it on a tight leash. Every poem is balanced between observation and invention, every creature exactly itself and more than itself, her mind enriching what her eye sees. In these artful, amiable lines, humor is at play and a sympathetic imagination at work, so that we feel comfortable even when we enter the most unlikely situations, such as “The Man Next Door Is Teaching His Dog to Drive,” at home again in the ordinary marvels of the world. Her dog may not read Plato, but Cathryn Essinger reads her dog, and much else–even “a book without words”–with startling, precise attention and affection. These poems–sometimes funny, sometimes dark, but always sweet–slip effortlessly from everyday moments into mystery and back again. Their skillful, rueful, joyful recognitions multiply, mutate and coalesce into a vision worth treasuring. .
“A restless object will simply / slip away to begin a journey of its own,” writes Cathryn Essinger as she acknowledges her own creaturely restlessness and so journeys toward “the darkness we knew before knowing.” In poems filled with domestic longing and muted humor, she tallies those nights “where wildness / found me” and those mornings “where / a small thing…/ could have another chance.” My Dog Does Not Read Plato places its faith in such chances and in our ability to recognize them, even if “by the time we name them, they are gone.” These poems constitute such meaning, and recognize how often we live not only in the residue of what has passed, but in the wisdom that “love… / can fold in, infinitely, upon itself.” Essinger strikes such delicate balances again and again. awareness, no desire to see herself as another. but where is the proof of the mirror’s reply? going to return so unceremoniously. decide whether to wear it or eat it. that no one can resist a taste. just bring it up, move on.